We've just had a bit of a news blitz about our joint announcement with Quividi - adaptive content and analytics for interactive digital signage - so I'm guessing you're already in the loop. In a nutshell, demographic (age, gender) and spatial (position, direction) information collected via Quividi's anonymous video analytics engine is now accessible within IntuiFace. 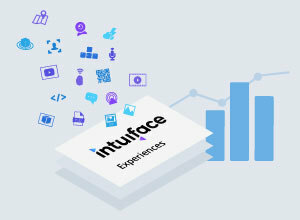 With this information, as an IntuiFace user, you can 1) dynamically change content in response to collected information - like showing a men's clothing line if a man approaches the screen, and 2) combine that information with IntuiFace's analytics to get an even deeper understanding of your visitor's likes and dislikes. You can get more information here. I'd like to focus on that second advantage because it hinges on an IntuiFace capability - analytics - many are not yet familiar with. And that's a shame because every touch or gesture made by a visitor reflects their interests. If a person at a touchscreen touches one of ten videos, it's quite likely that this video was the most appealing of the ten. Good to know. And if 10 people in a row touch the same video first, it's likely that this video is far and away the most effective at generating interest. IntuiFace's analytics capability enables its users to collect this information for offline analysis. And it's not just whether or not someone touches a video. It can be anything committed by the person or the environment. 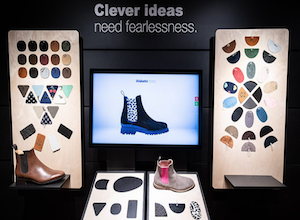 IntuiFace can identify the most and least popular items, the weather generating the most interactions, the location with the least interaction and much more. Any trigger can be recorded. 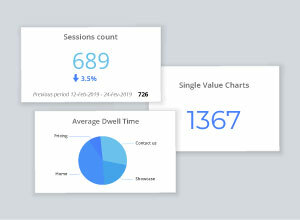 This analytic information is stored in the cloud - a database hosted for free by IntuiLab - and supplemented with information about the device involved, the IntuiFace experience, the time of day and more. All of this supplemental information ensures that for even the largest geographic deployment of multiple locations in multiple citites, you will be able to easily differentiate installations and compare them. In the following image, the last three columns contain custom information you decide is important; all preceding columns are automatically prefilled. Composer Free and Composer Pro users can download the last 24 hours worth of data into Excel, data collected from an unlimited number of Composer and Player installations. Those with at least one Composer Enterprise license have access to the last 365 days worth of data - yes, a whole year - and can not only download that data into Excel but can access it using a custom HTML query, a common method when using 3rd party data mining tools. Now imagine what you can do with this amazing level of insight if you can also know the gender of the interactor, their age, the direction they came from, how many people they are with, etc. 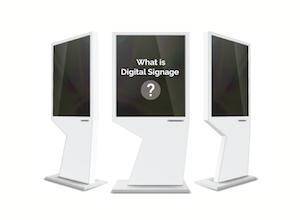 We called this the holy grail of digital signage and maybe now you understand why. 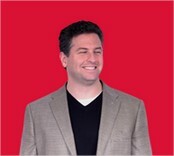 The world's premier platform for creating, deploying, measuring, and managing interactive digital experiences without writing one line of code.